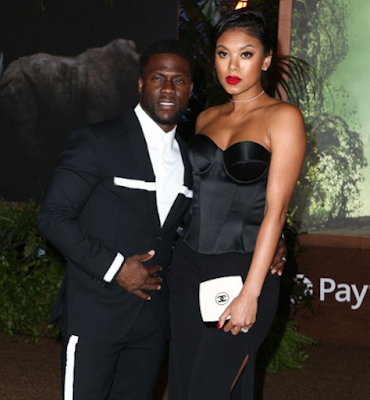 Kevin Hart's wife, Eniko Parrish has snapped back only three weeks after she welcomed their son Kenzo. 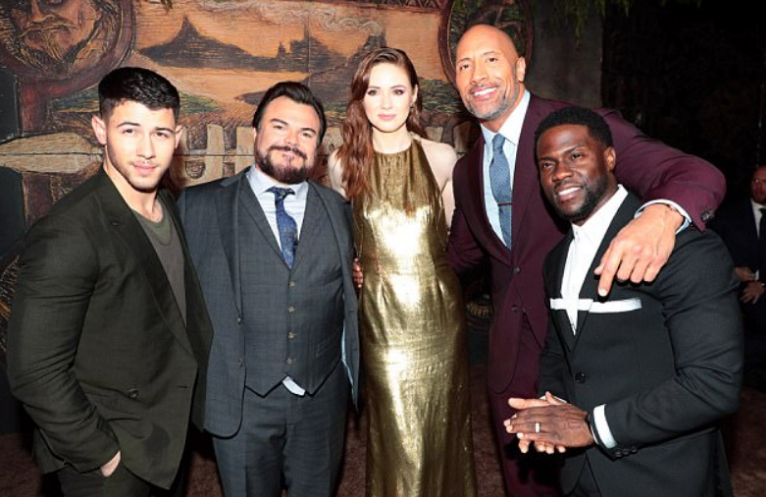 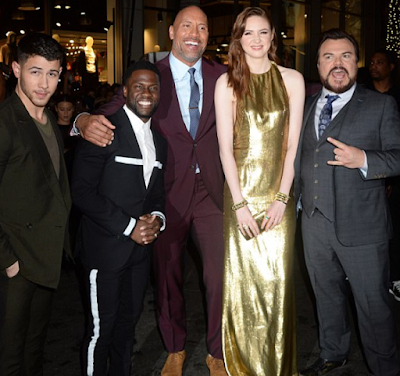 The couple was seen together on the red carpet for the Jumanji premiere in Los Angeles on Monday and they looked very happy together like the drama of the past months never happened. 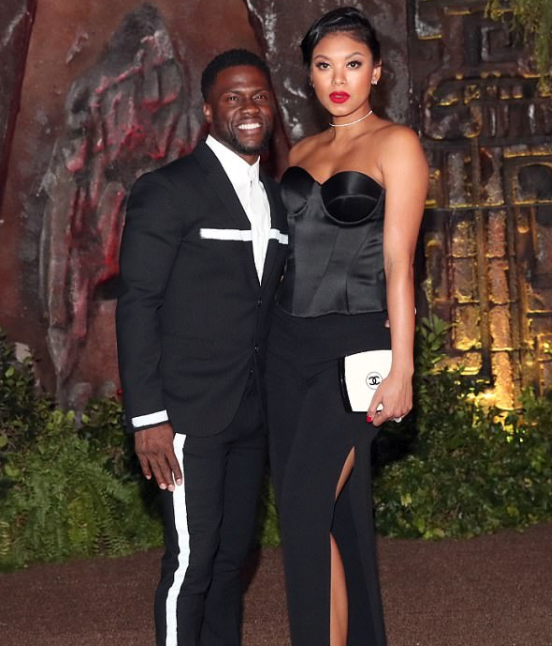 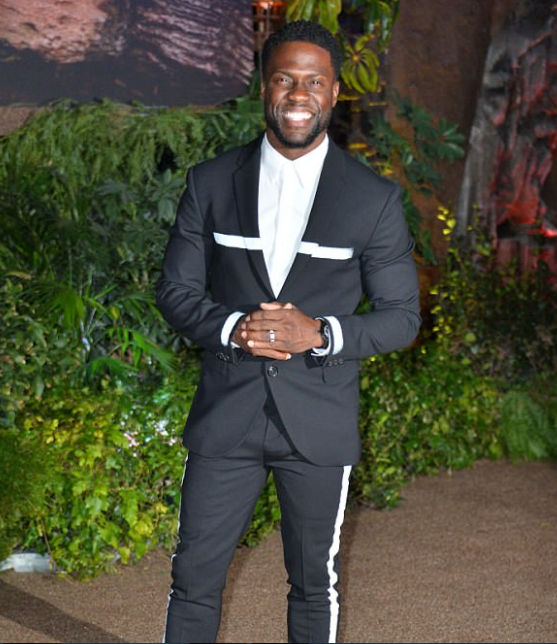 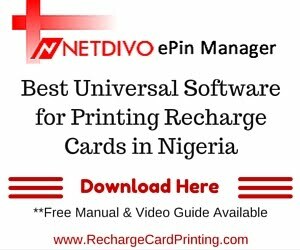 Hart, 38, cut a dapper figure in a modern tux and Eniko looked glamorous in black couture. It's their first public outing since they welcomed their son.